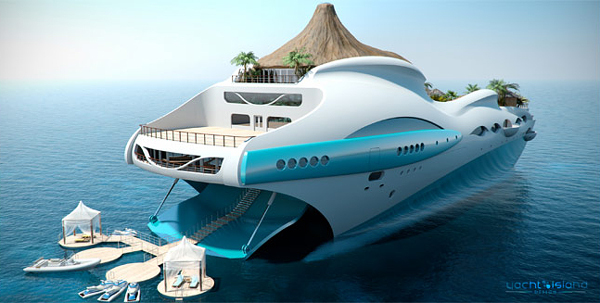 You’ve probably seen various design of luxury yachts but for sure you haven’t seen such creative one. 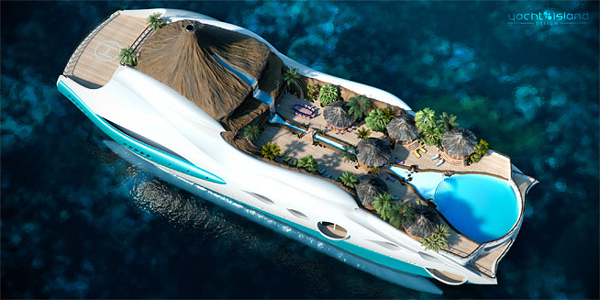 UK based company Yacht Island Design Ltd. moved up to a new level and has combined giant-sized personal luxury yacht and tropical island. 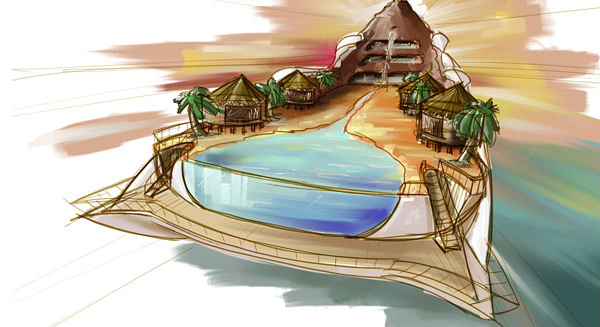 This floating paradise has its own miniature volcano, flowing waterfall, mountain stream, and valley pool flanked by a series of small bamboo huts and shelter-providing palm trees. Deployable beach deck allows acces to the sea for various watersports and sea level relaxation. “Indoor entertainment is catered for by way of a cinema, library, games room and gym, with relaxation options in the form of a multitude of lounges each offering their own unique ambiance, and a fully equipped spa.” It’s true paradise, don’t you think? 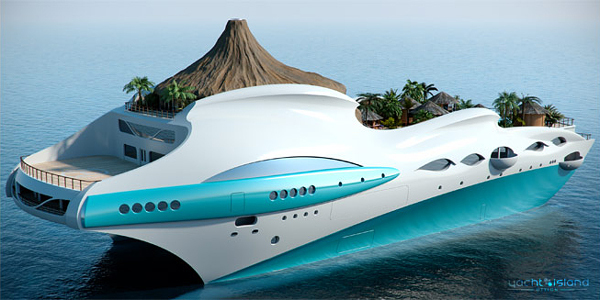 And a similar yacht concept is included into top 10 expensive luxury yachts! 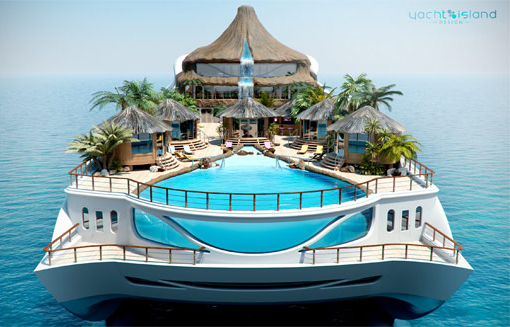 Nice to be In a quasi recession with many loosing their homes and their life savings so a few could live inthe lap of luxury. probably Greek. They’ve got the money! That’s crazy. There’s so much money out there. Wow, if they actually ever make one of those, I[‘d love to see how it turns out!